As an immigrant, Mr. Koret was a strong proponent of ‘teaching a man to fish.’ While he wasn’t alive to see the Foundation thrive, he would be pleased by the way the Foundation today supports opportunity for the disadvantaged, education for the next generation, and a vibrant Bay Area for the entire community. Richard L. Greene is a specialist in tax law and a founding partner of the San Francisco law firm Greene, Radovsky, Maloney, Share & Hennigh. Mr. Greene has been a frequent lecturer on taxation and a recipient of the V. Judson Klein Award for outstanding contributions to the field. He has served as co-chairman of the executive committee of the State Bar of California Taxation Section, past president of the San Francisco Barristers Club’s Tax Section, and president of the San Francisco Tax Litigation Club. Mr. Greene has also been an adjunct professor at Boalt Hall School of Law, conducted seminars at Stanford University and Hastings College of the Law, and taught courses at the University of San Francisco Law School. Mr. Greene served on the board of trustees and executive committee of the San Francisco Museum of Modern Art, where he was president for 10 years; he is now an honorary trustee. He also serves as an advisor to the executive director of the Oakland Museum of California. As a Berkeley Fellow, Mr. Greene’s support of his alma mater, University of California at Berkeley, is ongoing and extensive. He served as the chair of the Berkeley Foundation and still chairs the Special Gift Audit Task Force. He continues to serve on the Foundation’s executive committee and programs committee. He has also been a member of the UC Berkeley Athletic Director advisory board and the advisory board of the Bancroft Library. 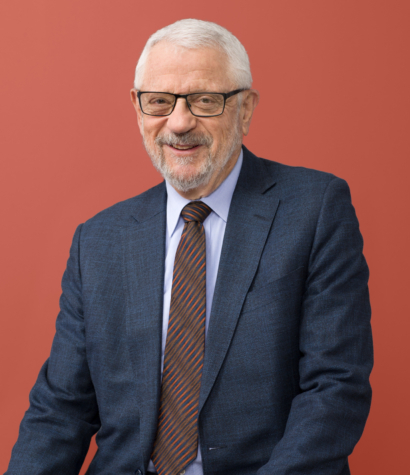 Mr. Greene is a director of the Gerson Bakar Foundation, The Hofmann Family Foundation, and the Fromm Institute for Lifelong Learning; he also serves on the boards of other private charitable foundations.